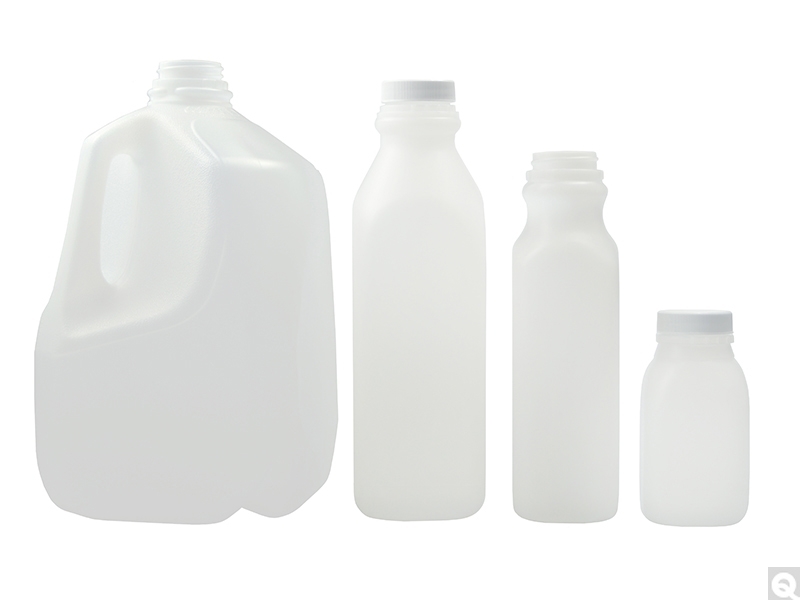 Natural HDPE Milk Jugs are lightweight, inexpensive general purpose containers that are ideal for sampling and storeroom use. These high density polyethylene (HDPE) dairy jugs are impact resistant and provide a great moisture barrier. Our plastic milk jugs are ideal for high-speed filling, demanding pharmaceutical specifications and the rough handling of interstate shipping. Sizes range from 8oz to one gallon plastic milk jugs. Purchase closures separately. Please note: Manufacturer’s lead time may apply to item # PLA-07608. Please click on item # to view details.